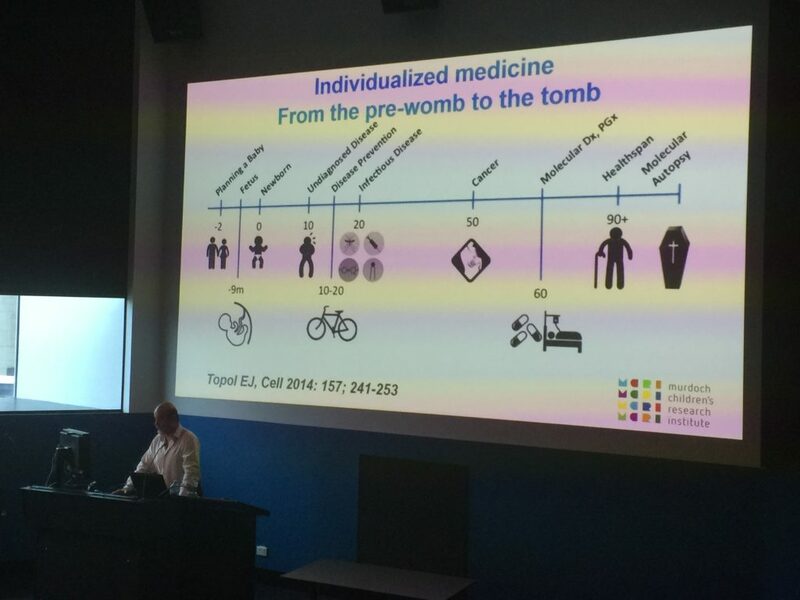 On Friday afternoon I attended a seminar by Professor John Christodoulou titled “Genomic Medicine: What is its place in the Australian healthcare system?”. Genetic testing has given us another tool which can be fast, cost effective, more accurate, and helps us avoid having to use invasive procedures like biopsies as often. Professor Christodoulou also advocated for extensive genetic testing throughout our lifetime, or as he put it: “from the pre-womb to the tomb”. He also went on to discuss some of the research his lab at the Murdoch Children’s Research Institute had been doing into understanding the genetic basis of Rett syndrome.